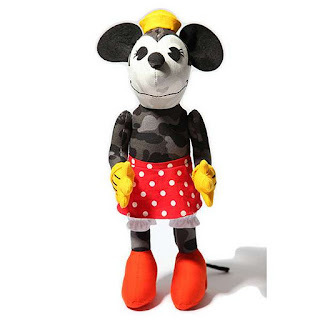 Disney Hipster Blog: A Bathing Ape: Disney Plush. 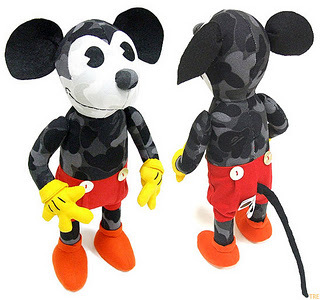 A Bathing Ape: Disney Plush. 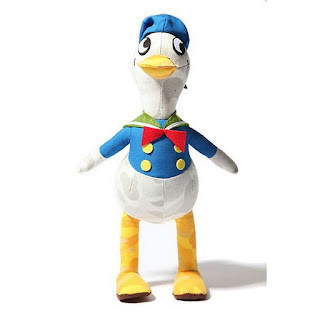 Licensing Disney characters is old hat. The company has been doing it since the success of Steamboat Willie....and there have been some really wonderful/silly/bad items made. Luckily today we're looking at one of the more awesome plush toys. A few years ago whimsical Japanese clothing company A Bathing Ape (or BAPE if you're a cool kid) released these amazing high end plush dolls. I love how perfectly old school they are...but also covered in camo/graffiti. Terrific.